An exciting and essential opportunity to discover more about digital partnerships, this hands-on workshop will help you develop innovative digital projects, with advice from business and academic experts; not to mention the chance to pitch your ideas to a panel for live feedback! Whether you want support on progressing an existing digital project/strategy or need some guidance about how to get started – this workshop is for you. Explore how you can partner with businesses to innovate digitally, whether that is for reaching new audiences, marketing, creating new experiences or generate income in a digital age. Drawing on examples from across the UK, the business experts will help you develop and plan partnership packages to enable you to better embrace the digital world and secure business support. This is one workshop you can’t afford to miss. 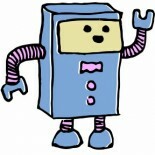 This entry was posted on 06/01/2011 by Creatabot in Creative and Art Events and tagged art, art and business, brighton, digital, enterprise, sussex, workshop.